Revaluate can integrate with your Contactually account to pull your contacts in and begin monitoring their scores. To do this, go to the import page and then click the "Import Contactually Contacts" button. Once you're authenticated with Contactually, you can also log into Revaluate using your Contactually login. We'll sync your Contactually contacts once per week so any new contacts that get added to your Contactually account will be pulled into Revaluate and monitored. We also create 3 buckets in your Contactually account: Revaluate Hot (80+), Revaluate Warm (50-79), Revaluate Cold (< 50) and will automatically put all your contacts in those buckets based on their Revaluate Score. 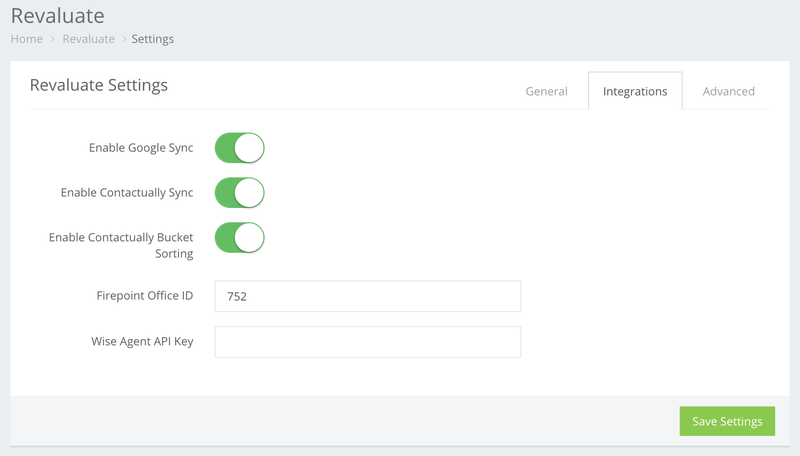 If you ever want to turn off Contactually syncing, you can do so on the settings page under the integrations tab.